Dr. TJ Clark is an Oculoplastics Fellow at the Medical College of Wisconsin in Milwaukee, WI. 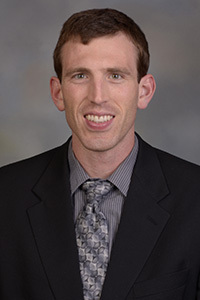 Dr. Clark completed his Ophthalmology Residency at the University of Iowa Department of Ophthalmology and Visual Sciences in June 2018. Dr. Clark is a contributor to the EyeRounds Atlas.